A few weeks a go a lovely Abel & Cole food box arrived on my doorstep, courtesy of Simply Health and their "Cook Your Way to a Healthy Smile" campaign. The box of goodies contained lots of food to help promote healthy teeth and give you that perfect smile, everyone is looking for. Of all the items, I was a little stuck as to what to do with the walnuts and brazil nuts I was sent. 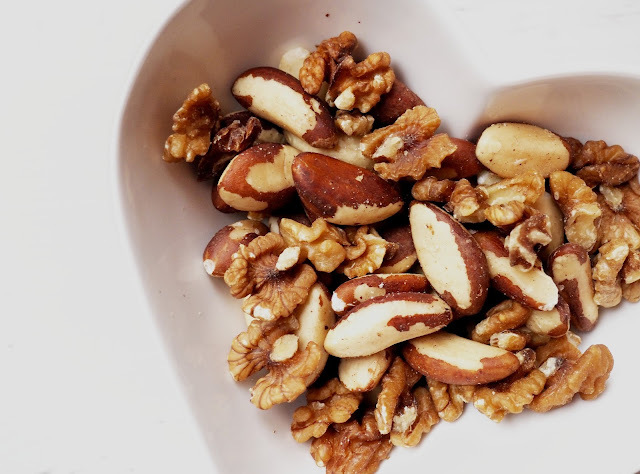 According to Simply Health, nuts are a fab way to get calcium and phosphorus into your diet which help promote health teeth. I love nuts, but don't pick them up that often, so this was a great chance to find a way to get them back into my diet. 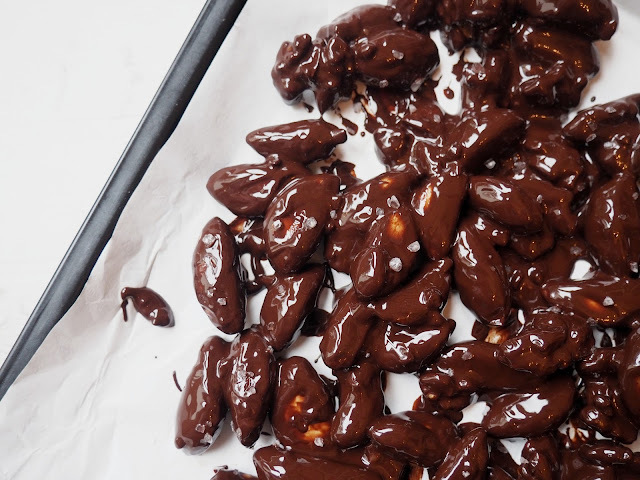 I may not have chosen the most healthy recipe, but I thought home made chocolate nuts with sea salt, would make the ideal Christmas stocking filler. 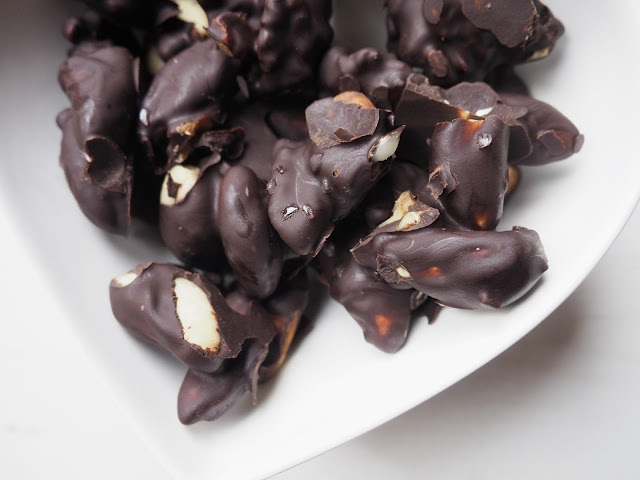 So here is a super easy, straight forward chocolate coated brazil and walnuts, ready for the festive season. 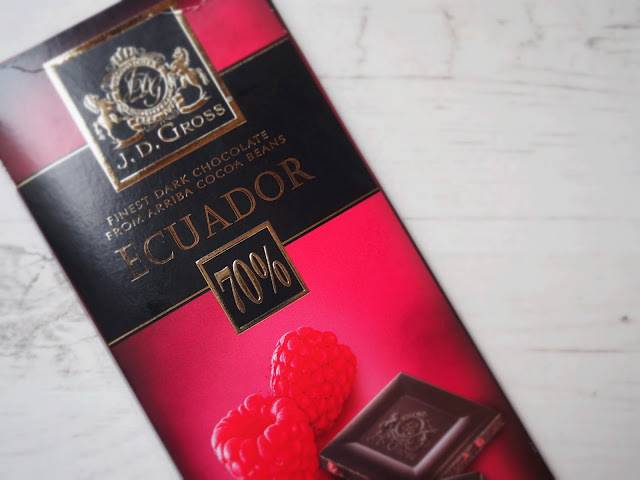 I chose to use raspberry flavoured dark chocolate (my favourite from Lidl) and simply melted it over a bain-marie. Once melted, I drizzled the chocolate over the bowl of nuts and mixed until they were all fully coated. I then spread out over onto a baking tray, which I'd lined with baking parchment. And finally sprinkled over some sea salt to add something a little more. I then popped into the fridge to set. After a few hours, I took the nuts out of the fridge and broke the chocolate apart. These are the perfect size to pop in some clear bags and finish off with ribbon or something a little more Christmassy and voila - the perfect home made gift. They look so delicious! 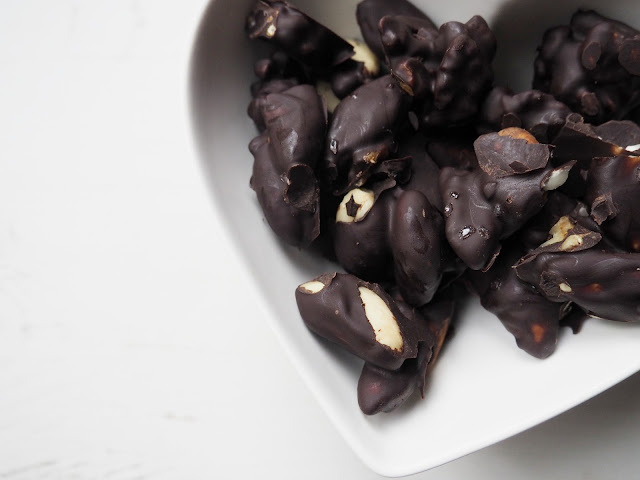 I definitely need to try these! Thanks for this post, really helpful idea I will have to try it soon.